First, I apologize for not writing for a long time. 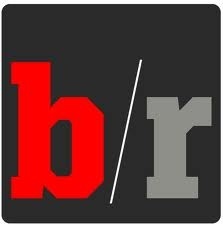 I have started an internship with Bleacher Report that started a little over four weeks ago. Remember, my link to my Bleach Report profile is in my bio. Sunday is my on-call day where I am handed two assignments that I must complete ASAP. I also receive my weekly schedule that day. I usually have an article due Monday, Tuesday and Wednesday. These are due between 6-9 a.m ET, but I am in California, so they are due 3-6 a.m. I usually write the article the night before and make an alarm for 5 a.m. to publish my article. It’s a tough schedule, but it’s worth it! I had to take a week off though, because I broke my hand in my baseball game Saturday. Luckily, no hard cast is needed and I should be healed in about four weeks. Stay tuned and I’ll be writing again here soon. In the mean time, check out my Bleacher Report work!